Have you ever heard of a place on earth that defies gravity? unbelievable, is it? Nestled in the lap of snow caped Himalayan ranges and silver valleys, Ladakh in India has a Magnetic hill where a vehicle moves up a steep hill even with their ignition off. 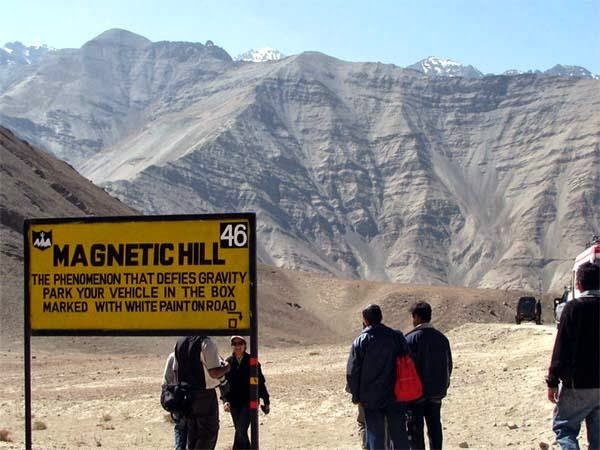 The Magnetic hill or Gravity Hill is situated at a distance of 30 km from the capital city Leh and is located on the Leh-...Kargil-Baltik national highway, at a height of 14,000 feet above sea level. Do you have a story, photo, suggestion, complains or comments for us? Send in your entry rahs08@gmail.com and we will feature the story with your name.